On Saturday, August 8, 1914, a balloon ascension was scheduled to take place in an open area near the North End Boat Club in Newburyport, and a large crowd had gathered to see the event. The balloon was anchored between two 40-foot-tall poles as it was being prepared for flight. A wind was blowing, and at one point a strong gust hit the balloon sending it against one of the poles. The pole snapped three feet from the ground, and fell directly into the waiting crowd seriously injuring a man and woman, and killing an 11-month-old baby who was in a carriage. The Barre Daily Times, (Vermont), “killed At Balloon Ascension – Baby In Newburyport Crowd Crushed By Falling Flag Pole.”, August 10, 1914, page 3. On September 24, 1902, the Bristol County Agricultural Society Fair was being held in Taunton, Massachusetts, and part of the entertainment featured balloon ascensions, and parachute drops. One ascension was made safely by a man identified as Professor Stafford in the early afternoon. Another was scheduled for 4:30 p.m. later that day, which would include a triple parachute drop to be performed by the professor, his wife, and an assistant, Louis Girard. 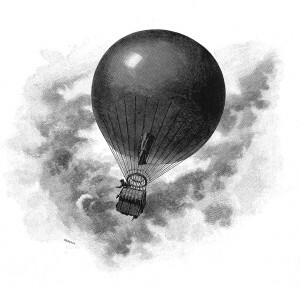 At 4:30 p.m., the balloon lifted from the ground, but almost immediately it was apparent that something was wrong, and Mrs. Stafford dropped away safely. The balloon then quickly rose to a height of 400 feet where it began to rip apart and collapse. At this point the professor dropped away with his parachute and landed safely, but Girard became entangled in the ropes and couldn’t free himself. The balloon came crashing down and struck with great force. Girard was pulled unconscious from the wreck and taken to a nearby hospital where he died of his injuries. On September 14, 1899, the eleventh annual Worcester East Agricultural Fair was in progress in Clinton, Massachusetts, a small town to the northeast of Worcester, Mass. Part of the advertised entertainment included a balloon ascension and parachute drop to be performed by a Boston aeronaut identified as “Professor Beaumont”. Finally the balloon reached an altitude where it was safe for Beaumont to jump and deploy his parachute, which he did, and landed without injury. At 3 p.m. on Saturday, May 23, 1896, a balloon ascension was scheduled to take place at the Congress Street ball fields in Boston. 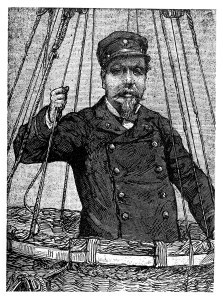 The man advertised to fly the balloon was an aeronaut identified only as “Strickland”. At the appointed time the balloon was to rise to an altitude of 5,000 feet where Strickland was to perform daring feats on a trapeze suspended beneath the balloon, and then drop using a parachute and land back on the ball fields. Unfortunately as the balloon was being filled with hot air it was accidentally set on fire and quickly eaten by the flames. After being tied in the wicker basket hanging beneath the balloon, the ascension was made, but in coming down the basket slammed into the roof of the Philip W. Moen mansion knocking off the top of the chimney and tearing away some of the roof tiling. It was reported that Mayo received “severe injuries” to his legs, back, and head, from the impact. New York Tribune, (No Headline), August 24, 1906, page 3, under general news. The balloon quickly rose to 6,000 feet as the winds carried it on an eastern course. The craft reportedly rose so rapidly that the heat of the sun caused the gas inside to expand to the point where holes blew out in two different places creating leaks and a sudden loss of buoyancy. As the balloon began falling the men quickly ejected all ballast and other items of weight including their lunch baskets, shoes, and outer clothing. They did however keep the anchor and two other items, a stethoscope and a thermometer aboard. At the time they were reportedly “near the town of Mansfield, Massachusetts”. As the balloon fell it was still being pushed along by strong winds, and it seemed certain to crash. As it neared the ground, the anchor was dropped and it caught on a fence and immediately tore it apart. The balloon continued on for another one-hundred feet before the anchor snagged in a maple tree which halted movement long enough for the occupants to quickly climb down the anchor rope and down the tree to safety. It was reported that the damage to the balloon was such that it would never fly again. The balloon had a capacity of 1,600 cubic feet. The Le Centaur was brought to the United States in 1906 by its owner, Count Henri de la Vaulx, and later acquired by the Aero Club of America. The Evening World, (NY), “Frightful Fall In Burst Balloon”, May 24, 1907. At about 7:00 p.m. on the evening of July 9, 1862, a balloon named the “Star Spangled Banner” piloted by Samuel A. King, ascended from the Boston Common with four passengers aboard. Once aloft it was unexpectedly blown seaward, and then fell at a rapid rate to the water. The gondola was dragged through the water of Boston Harbor as several boats gave chase in an attempt to rescue its occupants. 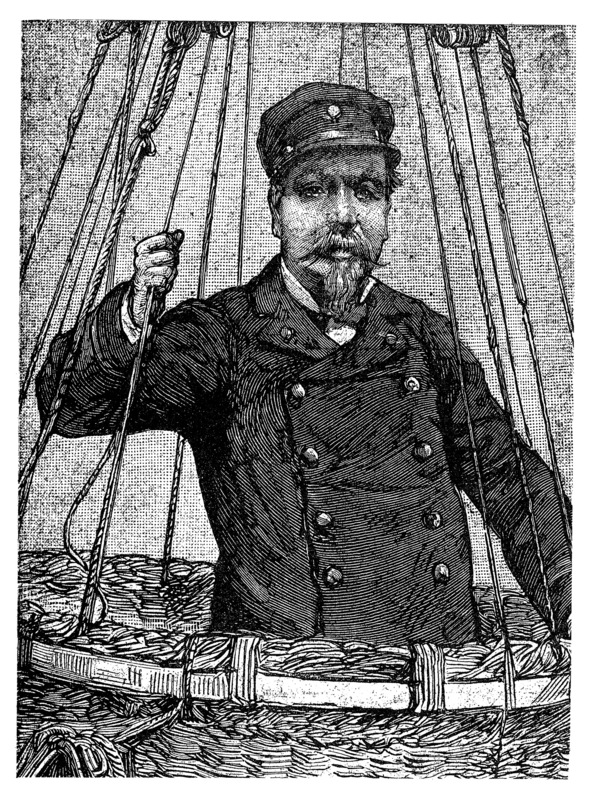 One steam powered boat, the Huron, managed to catch up and rescue the aeronauts after securing a line to the balloon. Once the men were safely aboard, the line snapped, and the now empty balloon shot up into the sky and disappeared in the clouds. On Saturday, August 31, 1907, Harry M. Maynard of Lynn, Massachusetts, was scheduled to give a parachute exhibition sponsored by the Stafford Balloon Club of Boston at a pleasure resort known as Lake View. The plan had been for Maynard to ascend to a pre-designated height in a balloon, and then jump using two parachutes. After the first chute deployed, he was to cut himself away from it, and free fall until the second chute opened allowing him to land safely. Maynard jumped as planned, but the first parachute didn’t open until he was only 400 feet above the ground. He then cut away from the first chute, but was now too low for the second to deploy successfully. He came down on the roof of a bowling alley and died three minutes later. The incident was viewed by 7,000 people. On September, 2, 1907, Professor Maloney, a balloonist, was scheduled to give an exhibition at the Barnstable County Fair. The show was to include an ascent in his balloon, followed by a parachute jump. 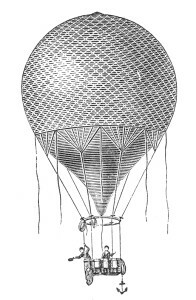 As the balloon rose to altitude, Maloney was in a seat suspended underneath, intending to cut the ropes holding it in place to allow it to fall, thereby letting the parachute deploy. However, at the height of 2,000 feet, a strong wind took the rope connected to the knife, and flung it into a group of cords connected to the balloon where it became entangled. Maloney was now unable to reach the knife, and found himself in a precarious situation. 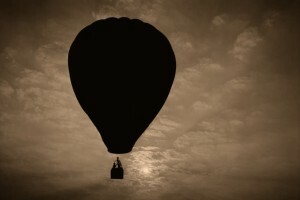 He was couldn’t descend, for he had not control over the balloon, and he was unable to drop with his parachute because he couldn’t cut himself away. He was now at the mercy of the wind. The balloon drifted for two miles when Maloney realized the gas was rapidly leaking from the envelope. He began to loose altitude, slowly at first, then faster and faster. Looking down, all he could do was watch the earth loom closer knowing there was no way to slow his descent. All he could hope for was something to provide a soft landing. As he neared the ground portions of the now almost deflated balloon draped around him preventing him from seeing where he was falling. Just as he was to impact the ground, the seat struck a cedar fence post, which somewhat broke his fall. As he crashed to the ground he suffered serious back and arm injuries, but he was alive. A long line of automobiles had given chase from the fair, and arrived at the scene of the crash. Maloney was taken in a semi-conscious condition to his hotel in downtown Barnstable where he was treated by a doctor who determined he would recover.